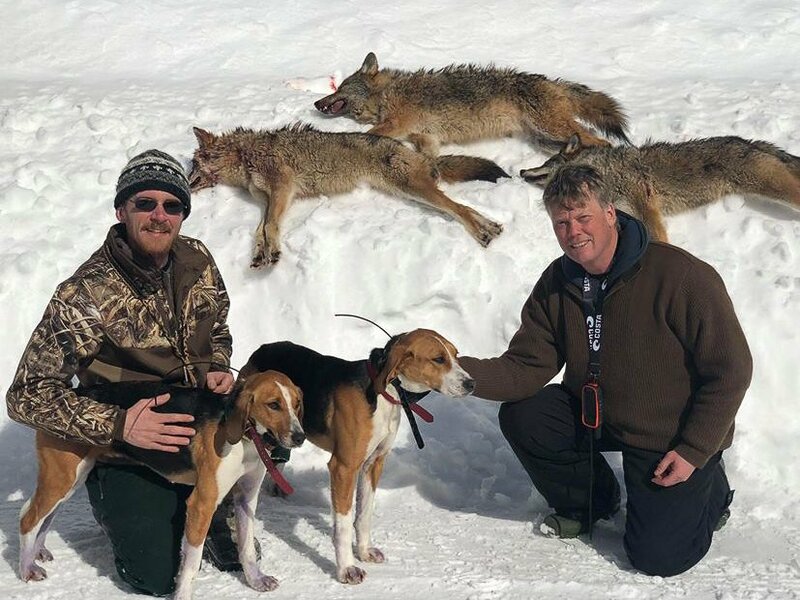 Coyote hunting with hounds is a great way to break those mid-winter blues. This is an exciting, fast-paced hunt similar to hunting rabbits or bobcat. In northern Maine, we don’t have to look very far to find fresh coyote sign. 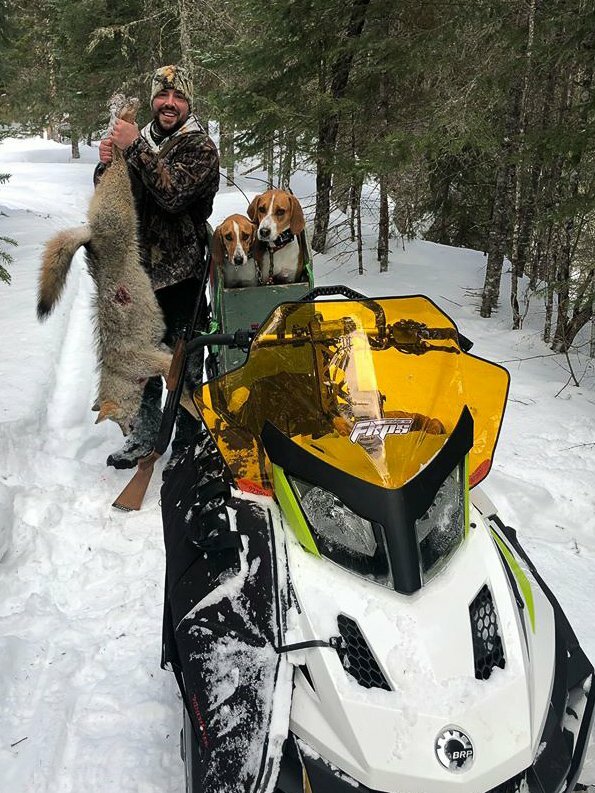 Driving logging roads, often with snowmobile, we find fresh coyote tracks and the hounds take off on the trail. 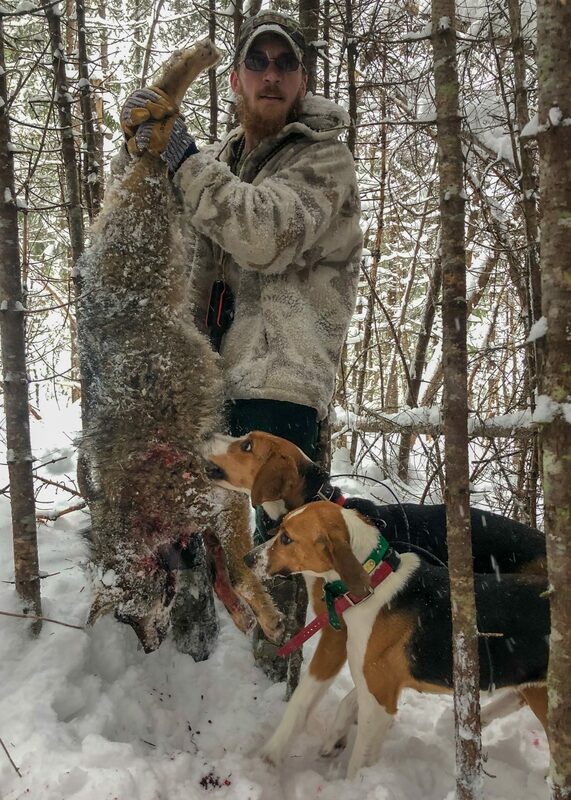 We often place out meat scraps as bait and start the dogs in the morning on fresh scent. 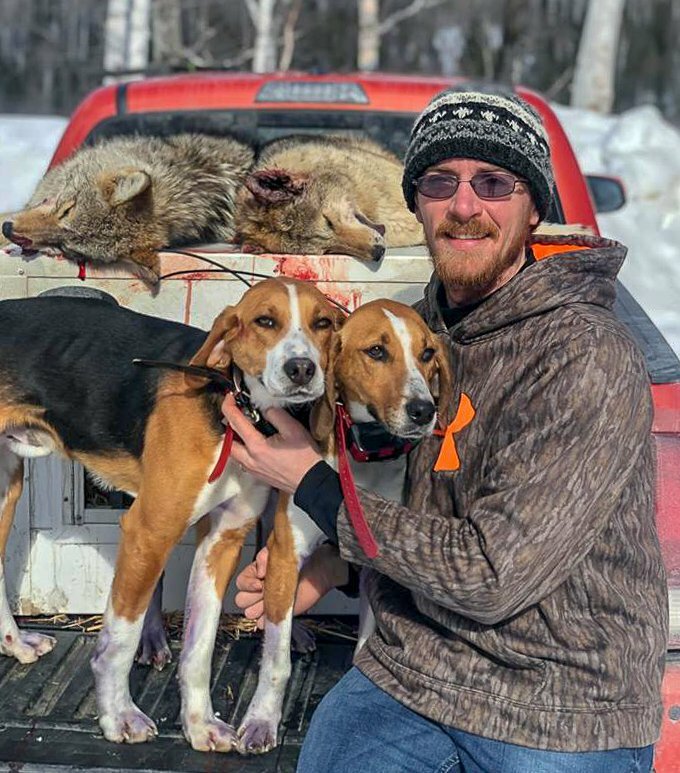 The coyotes run until the hounds catch them and bay them up and we have plenty of shooting action as they cross roads. Our GPS dog collars allow us to track the chase and get you in the best location for a shot. 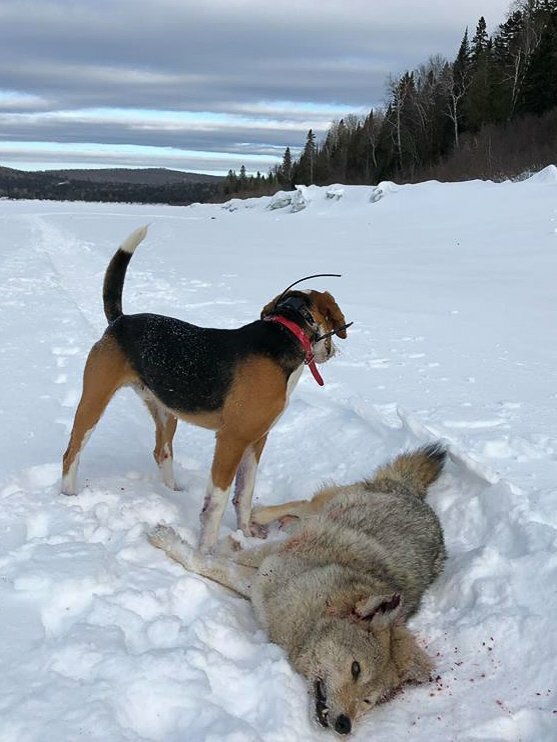 Coyote season never closes in Maine but hound hunting is best done during the winter months from early December until spring thaw in late March or early April. Hunting package includes lodging and guiding with the use of our hounds during the hunt. You supply the snowmobile, and if you need help locating one, there are nearby rental options.